Today, we are presented with many invasive and non-invasive treatment options to eliminate fat , sculpt, and shape our bodies. Deciding which one is best for your body type, can be intimidating. Our non-invasive approach with years of proven treatments and a scientific study yielding visible results, have led Advanced Dermatology to become a leading destination for body shaping and sculpting. SCROLL DOWN TO WATCH VIDEO TESTIMONIALS. We know that debulking fat with a BMI of less than 30 can be achieved with multiple CoolSculpting treatments. Yet, some patients have pockets of fat that may be too small or too large to treat with CoolSculpting and/or may have loose skin accompanied with it. 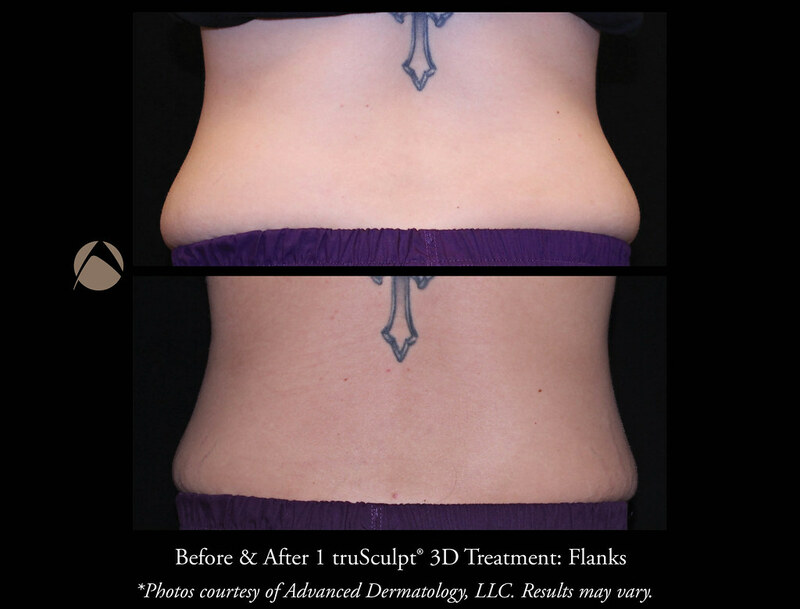 These patients are perfect candidates for truSculpt® 3D, as we find it can not only eliminate fat, but also help firm and tighten loose and sagging skin. Dr. Taub's practice was chosen to perform a truSculpt® 3D study to evaluate the effects of the device in a variety of body types. By using controlled ultrasound fat thickness measurements and 360 degree photography, results and clinical outcomes were documented and validated at different time points. 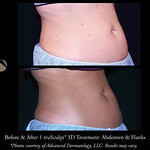 This further validated our combination body shaping and contouring treatment methodologies at Advanced Dermatology. We are very excited to be able to now offer the truSculpt® 3D as an alternative or adjunctive therapy producing the optimal aesthetic outcomes for our patients. 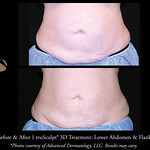 Read the interview with Dr. Taub on the Aesthetic Channel explaining the effects on the skin as they relate to fat between truSculpt® 3D and CoolSculpting here. *12 weeks post one treatment. Results may vary. 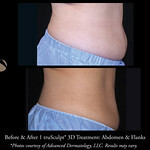 Photos courtesy of Advanced Dermatology, LLC. How do I know if I need truSculpt®3D? 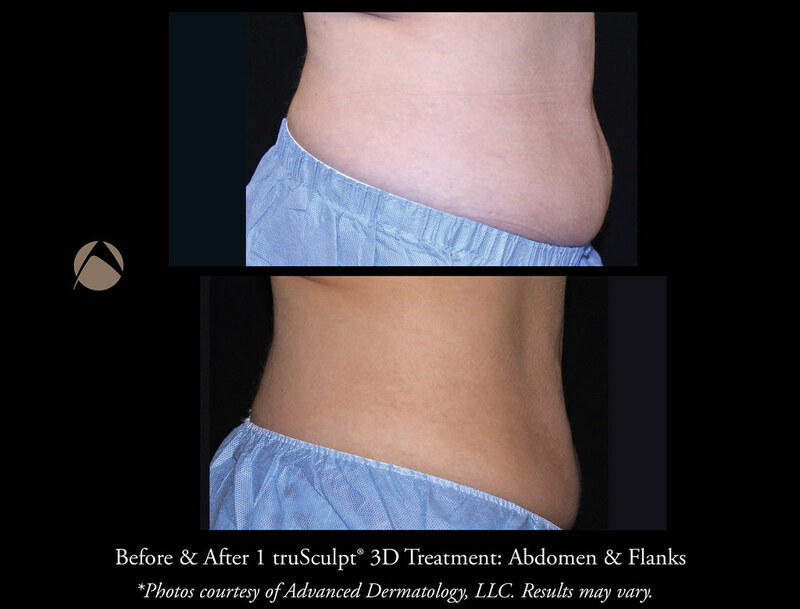 People with isolated pockets of fat, in areas such as the love handles, thighs, upper arms, buttocks, above the knees, and the abdomen, have seen a loss in fat as well as improvement in skin's laxity and cellulite appearance post a truSculpt® 3D treatment. Their bodies have also been transformed revealing a more contoured shape. 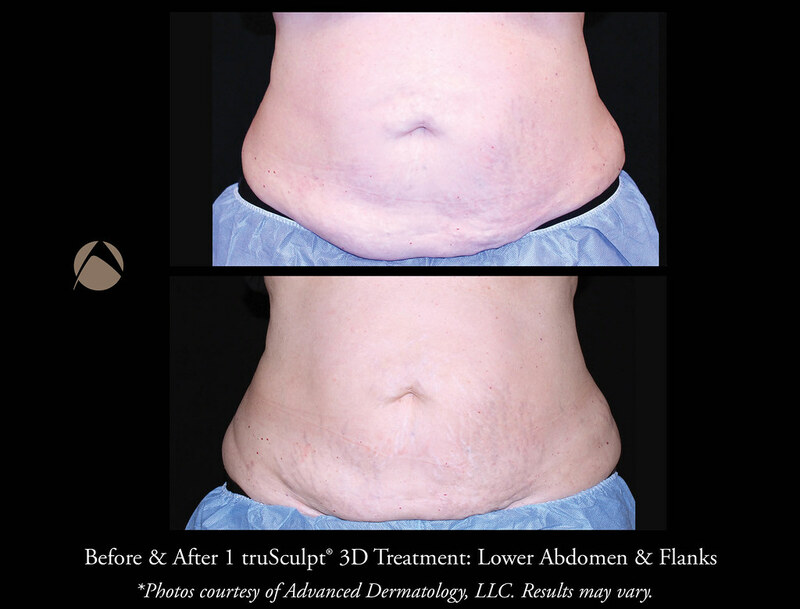 truSculpt® 3D, an FDA cleared device, uses radiofrequency to deliver controlled heating deep within the skin and fat layers. The goal of the treatment is to reach a specific level of temperature within adipose tissue to disrupt and damage the fat cells. The treatment is performed by a medical or aesthetic provider who glides the truSculpt® 3D applicator across the skin's surface. During the procedure, you will experience a warm sensation on the area being treated as therapeutic temperatures are reached. This new "glide" technique, developed by Dr. Taub and her research team, has doubled the results but also shortened the treatment time by half. One truSculpt® 3D treatment lasts 60 minutes, which is comprised of four 15-minute treatment cycles and you will start to see results after 6 weeks and up to 3 months post treatment. The size of the treatment cycle area will be discussed at an in-depth treatment consultation to find the most appropriate areas that will create the maximum aesthetic outcome. 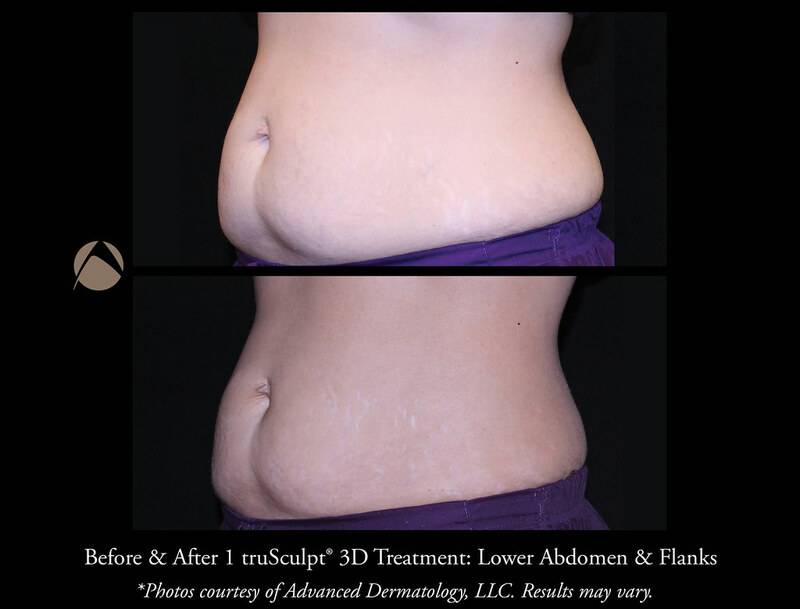 In 1 to 3 months following a truSculpt® 3D treatment, you can expect to see a reduction in fat, as well as a tighter and more firm skin appearance, reduction in circumference, improvement in cellulite appearance, and enhanced body contours. Both are minimal to none. Prior to the treatment all potential risks and side effects will be discussed with you by your medical provider and cosmetic coordinator. During the treatment, you will feel a warm to hot sensation which can be adjusted based on your comfort level. The skin in the treatment area may appear pink or red after the procedure and typically resolves within a few hours. As there is no downtime, you may resume to your normal activities after your truSculpt® 3D treatment. 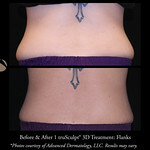 CoolSculpting may be considered to reduce fat prior to tightening and sculpting with truSculpt® 3D. 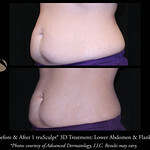 Can truSculpt® 3D be combined with other treatments? Yes. 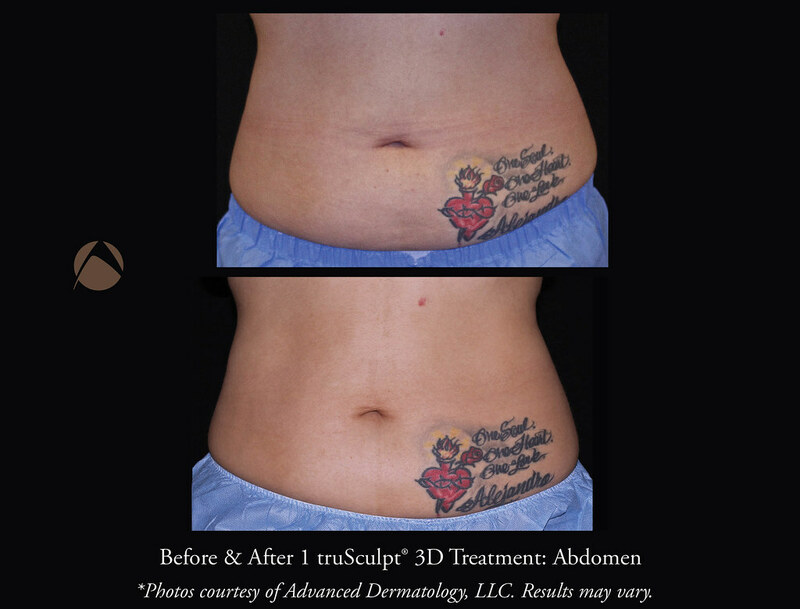 truSculpt® 3D can be used in combination with other non-surgical methods such as Thermage, TriPollarTM Apollo®, and CoolSculpting to achieve a full body shaping and contoured transformation. 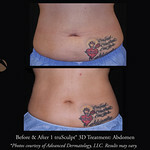 What is the cost of truSculpt® 3D? To learn more about truSculpt® 3D, please call 847-459-6400 or contact us to make an appointment with one of our cosmetic coordinators. truSculpt3D Patient Testimonial Lori from CUTERA on Vimeo. truSculpt3D Patient Testimonial by Elana from CUTERA on Vimeo. truSculpt3D Patient Testimonial Nisa from CUTERA on Vimeo.